Enriched in history, Longroyds and Pilling House Residential Care Home in Huddersfield, West Yorkshire is made up of two 100-year-old houses that retain many of their period features, making them a truly unique living experience. Set in large grounds and based on the fringe of Skelmanthorpe, the homes offer an extremely high level of care in beautiful nostalgic surroundings. Although our home lies within the countryside, Longroyds and Pilling House is situated within a residential location and is within walking distance of local amenities. Both Longroyds and Pilling House have purpose built extensions, with the added benefit of part of the buildings being converted into five independent flats. These flats allow us to offer the accommodation for those residents that require an independent way of life, while still having the security of 24-hours-a-day assistance if needed. We all want to maintain our independence as we get older; by choosing one of the flats, you will be able to live in your own beautifully appointed home safe in the knowledge that care and support is close at hand should you ever need it. Our fully trained team are on hand to offer care and support to our residents and their families, offering advice and assistance on individualised care plans set in place once a resident moves in with us. 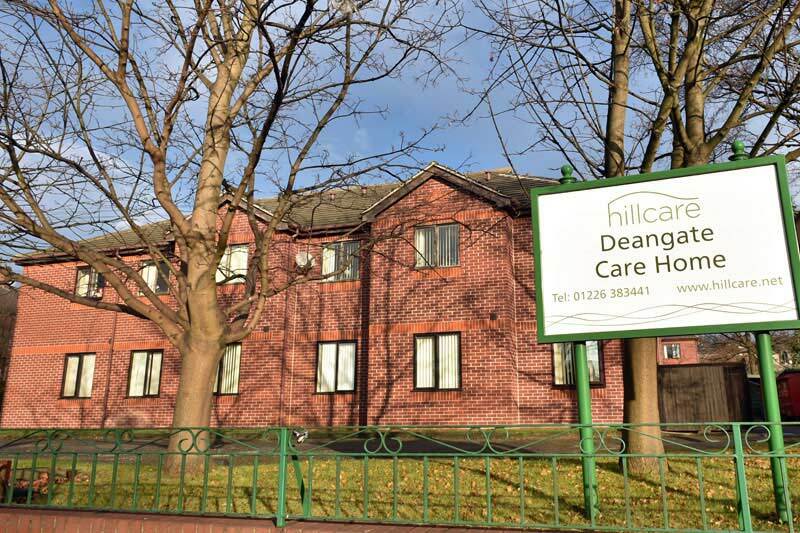 Although we are a dementia friendly care home, we offer residential care only and excel in this care discipline. As with all care this service is person-centred and designed to regularly review specific needs and requirements. Housing 52 beds, Longroyds and Pilling House in Huddersfield, West Yorkshire offer tastefully decorated rooms with large windows and nurse call systems. We also encourage residents to decorate their rooms with personal belongings in order to help them feel more comfortable and at home. 13 of our bedrooms offer en-suite facilities and 1 is a double room for couples or residents who prefer to share rooms. All of our rooms include internet access, TV aerial and phone sockets meaning residents can always have the little things in life within their bedrooms. Wheelchair accessibility means residents can access any available bedroom they wish, without any mobility restrictions. As well as encouraging residents to bring in their own furniture, we welcome residents to bring their pets into the home, by arrangement. We also house a small shop and have a car park to be used by our residents, visitors and staff. We also receive newspaper deliveries daily for our residents. Family members and friends of our residents are always welcome to join their loved ones at meal times, whether it just be for a catch up or to celebrate a special occasion, which can be catered for at Longroyds and Pilling House. We also cater for any dietary and cultural requirements any of our residents may have. Refreshments, including snacks and fresh fruit, are on offer to our residents 24 hours a days; we believe it’s important to ensure our residents always have some form of nourishment in between meals. At meal times, we like to make sure there’s always something on the menu for everyone. Therefore, we have an option of 3 meals prepared by our 5* kitchen. However, our residents don’t always have to dine with everyone; we always give them the option to have their meals within their own room. We have numerous living areas across both of the buildings here at Longroyds and Pilling House. In Longroyds Residential Care Home, we have 2 communal lounges and 1 quiet lounge, meaning residents can have some peace as well as socialising and relaxing in front of the TV. Pilling House Residential Care Home Skelmanthorpe has the choice of 3 communal lounges and 1 quiet lounge, again making sure that residents are never forced to socialise or watch TV if they would just appreciate some tranquillity. In both the houses, we have a TV room specifically for resident who would like to watch some TV outside their room and in the company of other residents. Both houses also include a lift, meaning residents with restricted mobility can still access all areas of the home. Mature and established, our large garden oversees stunning views of the countryside and is also beautifully lawned. Wheelchair accessibility to our outdoors means there’s no limit on who can and can’t take advantage of the landscape garden area. Comfortable seating areas and our open patio area means there’s numerous ways to enjoy basking in the sun in the presence of our period fish pond and fountain. An array of activities at Longroyds and Pilling House Care Home Skelmanthorpe Huddersfield means that no-one can be left bored without something fun and stimulating to take part in.